The Shell Case has just posted An interview with Gav Thorpe. Six Eleven has made a few pertinent points about Mantic games and their Warpath releases over on his blog. I can certainly see his point. Warpath is releasing models relatively slowly at the moment. Though to be fair they are a much smaller and younger company than some of those we get our toys from – the big GW for example. I think that any collector wants to know there will be enough stuff available to collect before they commit their time and money to starting a new project. 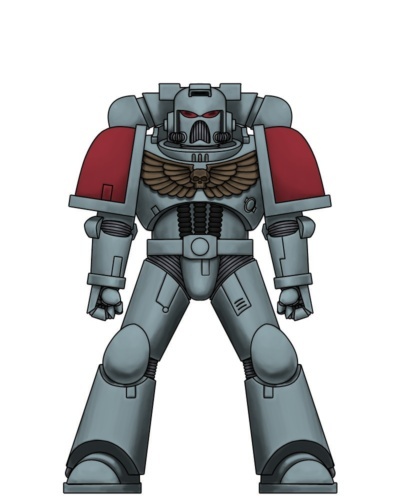 I’d also agree that the new Corporation Marines are some of the most tempting models Mantic have produced. See my post of a few days ago for mor of my thoughts on those. Avatars of War Dwarf Berserker Unit – Review. Over on Ramblings from the Trenches, there’s some news on forthcoming changes to the Citadel paint range. New Citadel Paints: First Glimpse. Over on Miniature Musings of a Bear, Doc bungle has posted some interesting videos about the latest news from Privateer Press. And some more PP video love. I’ve thought for a while that PP do some good work, and although Warmachine and Hordes never quite grabbed me in the way GW or Spartan did I’ve always thought they did some very cool models. The Colossal models previewed in the video are truly awesome and some could well be a ‘buy it just to paint it’ case. I hope there’ll be a suitably awesome Rhulic Colossal before too long.